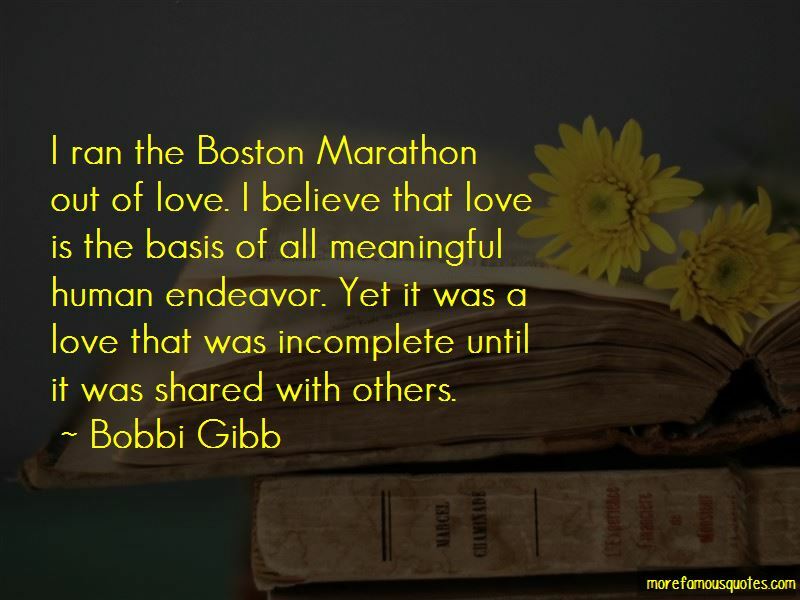 Enjoy the top 4 famous quotes, sayings and quotations by Bobbi Gibb. 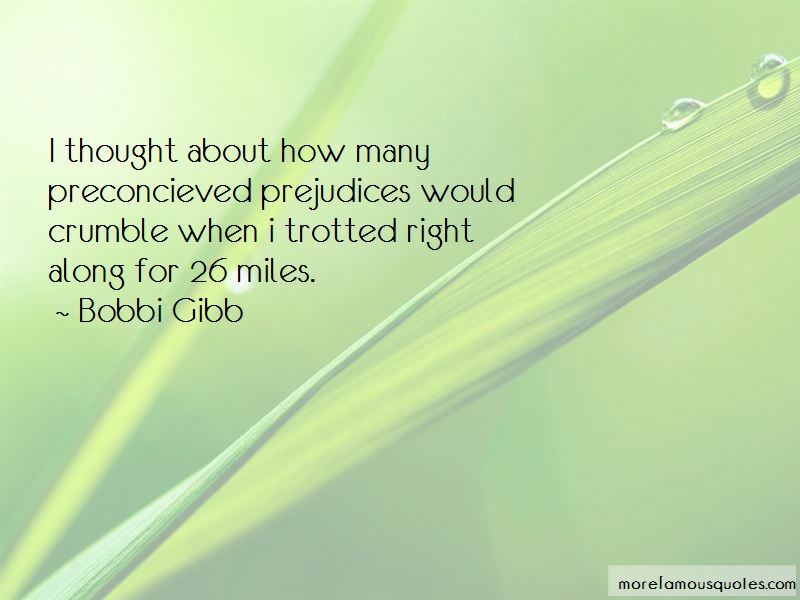 Want to see more pictures of Bobbi Gibb quotes? 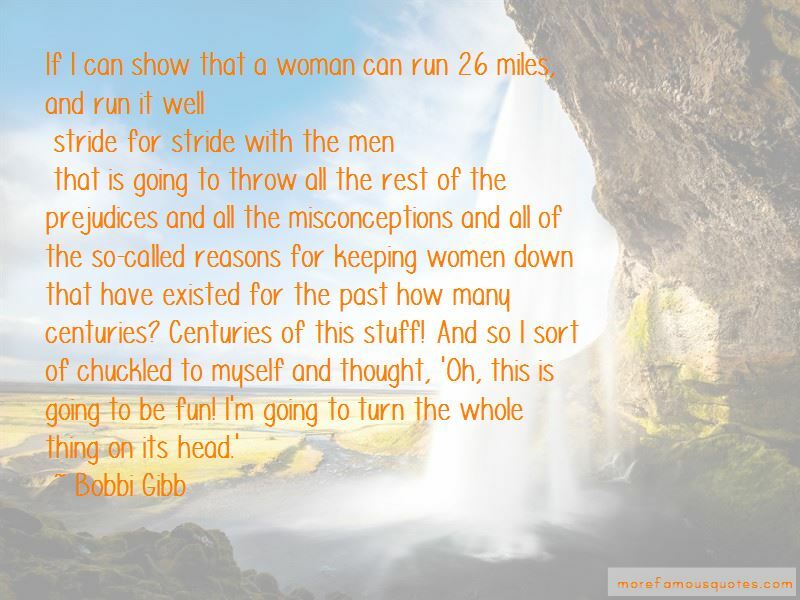 Click on image of Bobbi Gibb quotes to view full size. “Dont get me wrong. 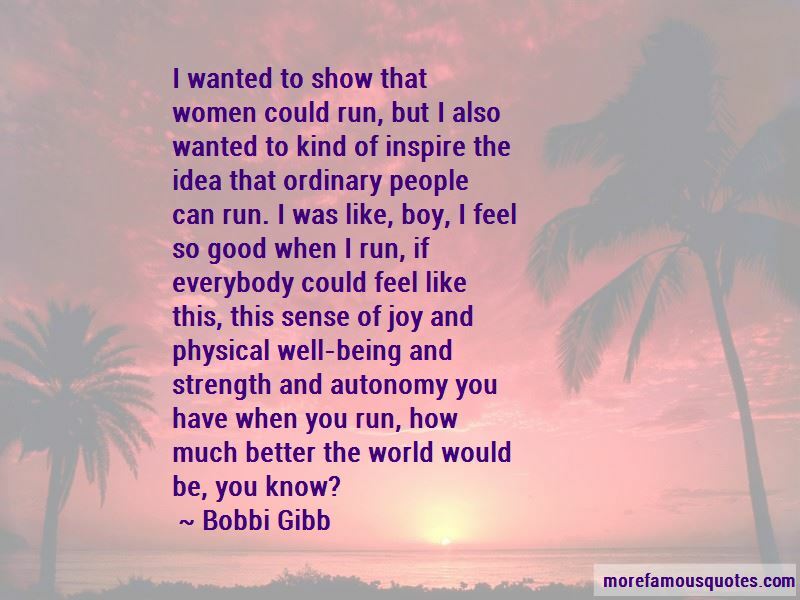 For the most part, being strong got me through a lot. And Im thankful that short of people dying” — Nessie Q.